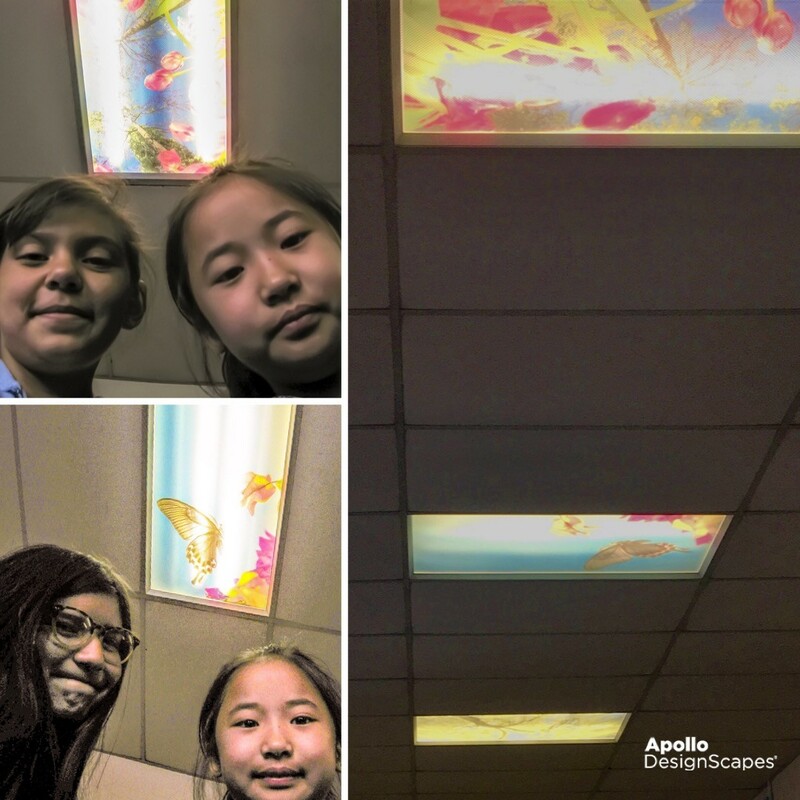 Apollo DesignScapes® received a request for help in banishing the glare of fluorescent ceiling lights that were causing problems for a librarian and children near Los Angeles. My name is Allison, and I am a librarian at Willard Elementary, located in Rosemead, California. In our library, we have eight very bright and distracting fluorescent lights. The children often complain about the overhead lights. We suggested that they select a variety of DesignScapes® Standard Scenics to create a faux skylight effect in their space. They have arrived! Wow! These are gorgeous! I’ve attached a few pics. Capturing the true beauty of the filters was hard. At Willard Elementary, our students are our number one priority. Our library is a place where our students find comfort in the books they read, as well as the environment that the library provides. Before we added Apollo DesignScapes® light covers, our library was a drab place. The fluorescent lights were a constant bother for our students. The transformation of our library is astonishing! Now, when the students walk into the library, they are full of contentment and relaxation. No longer are they bothered by the harsh fluorescent lighting. 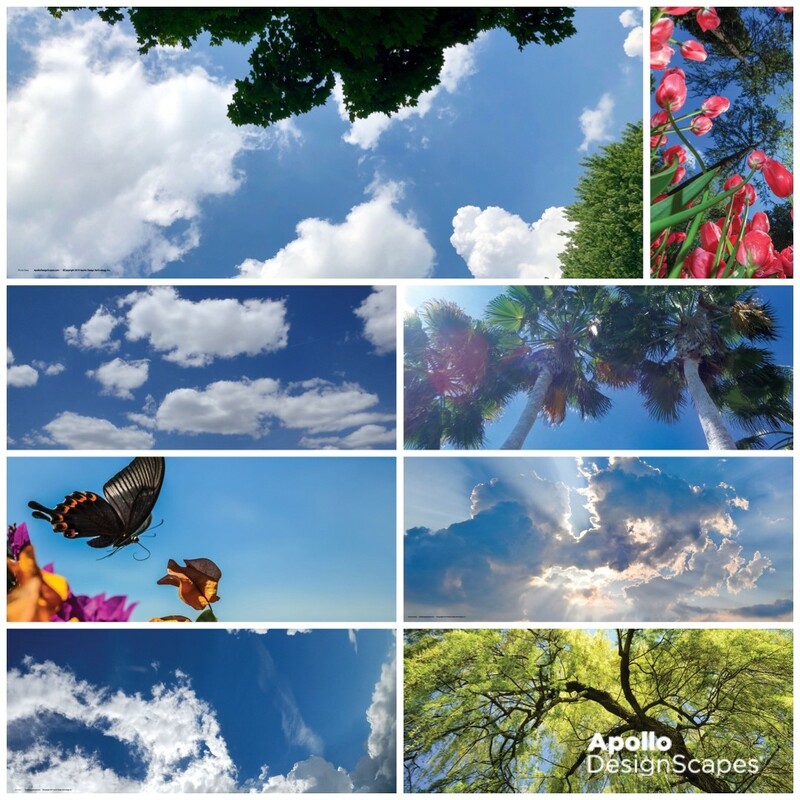 Thank you so much, Apollo DesignScapes®, for providing such high quality, beautiful and calming light covers. You have truly made our library an oasis for the students. Apollo DesignScapes® are not a replacement light diffuser. They lay on top of a standard fluorescent light diffuser making them a breeze to install. Need assistance? Contact Us or your Apollo Dealer. 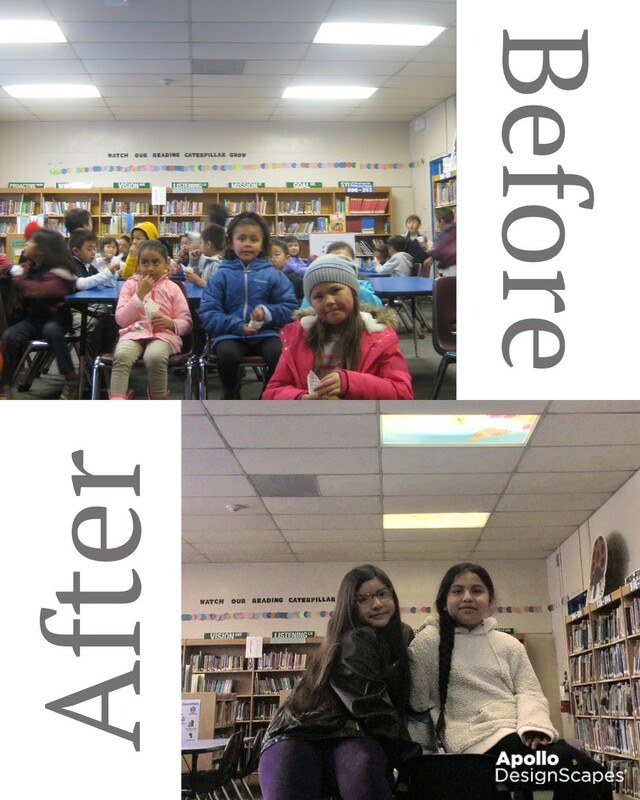 The students at Francis Williard Elementary School are enjoying the corrected lighting in their library. Selected designs, left to right, top to bottom: Picnic View, Growing Up, Fluffy Clouds, Fun in the Sun, Butterfly, Rise and Shine, Blue Skies, and Weeping Willow II.